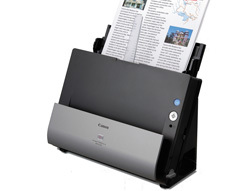 In most cases a document scanner like the Canon DR-C125 can be purchased for around $400.00 plus shipping. These desktop scanners are amazingly compact and fast and will save you time and money with a more productive work staff. 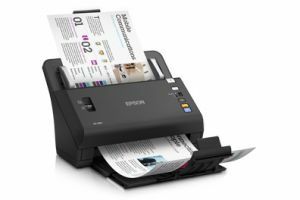 When is a good time to purchase a desktop scanner? 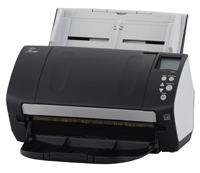 In most cases it is a good time to purchase a compact document scanner when you find yourself saving your daily work just to make your way to the copier once or twice a day. The problem is you find yourself making additional trips because you have the need to copy or scan a single document right then to complete the task at hand. By having a document scanner on your desk you are able to finish what you started, continue the job or move on to the next task. This is a great way to increase productivity in your home office or in the workplace. In our office everyone has a desktop scanner that allows our employee’s to be the most productive they can be and continue to produce great results for our customers. 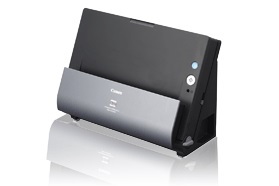 Below we have included a few things that could help you in your office by purchasing the Canon DR-C125 document scanner. Scan to your printer (No longer walk to the copier to make copies, scan to print)! ( Did you know Canon has a patent on a technology called Folio Mode? This technology allows you to scan the front and back of any hard card or any type of document to include scanning checks, scanning driver’s license and scanning insurance cards and place the front and the back of the image on one sheet of paper). 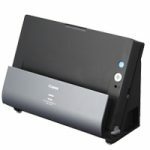 The Canon DR-C125 is a great desktop scanner if you are looking to decentralize scanning or have a speedy way to scan documents at your desk without the high cost of doing business. 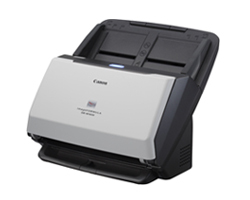 You can purchase the Canon DR-C125 online at Scanner One, Inc. or by calling us Toll Free 888-395-8570. Our sales staff is always available and willing to help you make the right decision for your scanner needs.